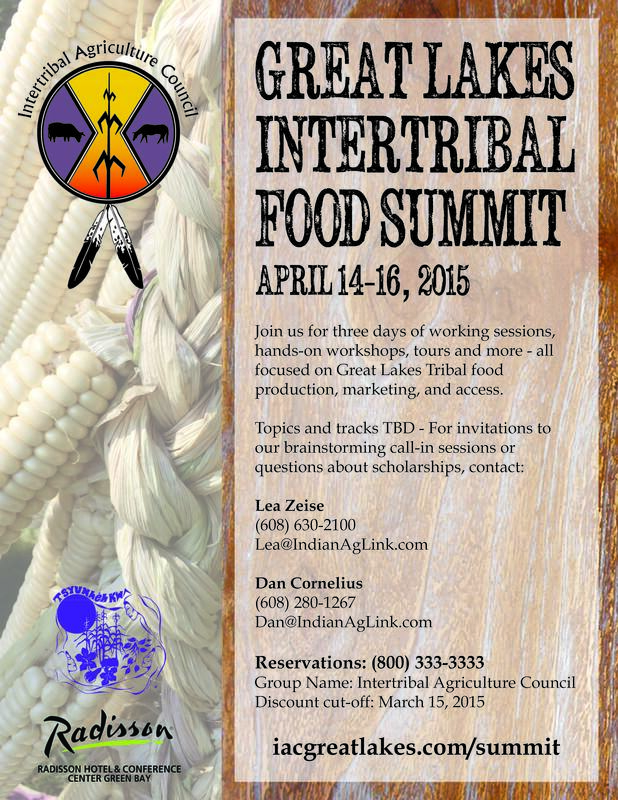 The Great Lakes Intertribal Food Summit will be held April 14-16, 2015 at Oneida, WI. The event will feature hands-on workshops on Tuesday, April 14 and regular conference sessions April 15-16. The Mobile Farmers Market is working with Native chefs who are coordinating the entire menu to source as much Native-produced food as possible. Join us Thursday, February 19th for a celebration of Ojibwa traditions and flavors put on by The Sioux Chef Sean Sherman. The Mobile Farmers Market and several other Native food vendors will also have indigenous foods for sale. Visitors will also enjoy access to the “Modern Spirit” exhibit of work by famed Ojibwe artist George Morrison; displays of related items and artwork from and inspired by the Minnesota History Center’s American Indian collection; and an Ojibwe Table Installation by Artist in Residence, Jessica Gokey.